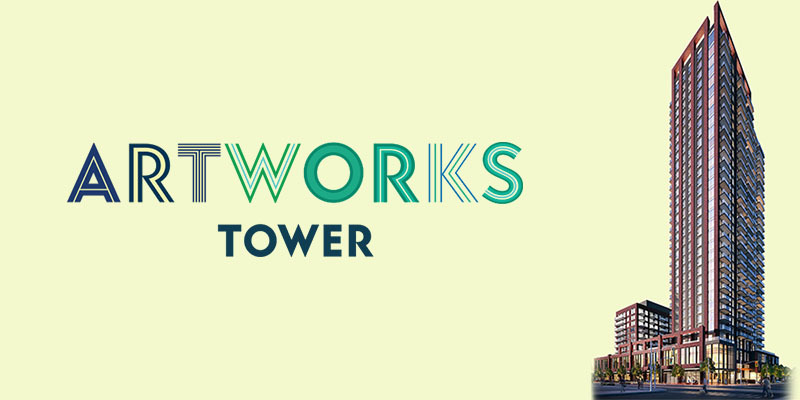 Introducing Artworks Tower – the latest exciting development in Daniels Corporation’s incredible transformation of the Regent Park neighbourhood. Artworks Tower will comprise two condo towers, rising 32 and 10 storeys respectively. They will be joined together by a 2-storey podium level. In total, there will be 451 units in the development with one, two and three-bedroom layouts all available and balconies or terraces included with most layouts. As you would expect with a development by Daniels Corporation, the buildings will be finished to the highest standards and the amenities will be top notch, with a games room, gym, CrossFit space, party room, roof deck, kids’ zone and co-working space all included in the plans. As with Daniels’ other projects, there will be a special buyer’s deposit structure available for those who may not have saved up the usual 15 to 20 per cent needed for most pre-construction condo deposits. Contact us for more information on Daniels’ special deposit programs. Located on the northwest corner of Dundas St E and River St, Artworks Tower is the latest addition to the transformation of Regent Park. Daniels Corporation has been heavily involved in the revitalization, with successful projects like DuEast, DuEast Boutique and the Wyatt already released. It’s not just residential units that are changing the community, however. New parks have been created, athletic grounds, an aquatics centre, and other recreational facilities. These have all helped to redefine the neighbourhood and increase its appeal as a desirable place to live just around the corner from downtown Toronto. In fact, you don’t even need to head to downtown if you choose because there is so much to see and do nearby. With a walk score of 88/100, the majority of amenities you need are going to be within walking distance if you live here. With a location like this, you can ride a bike, take transit, or drive your car to just about anywhere you want to go. The location has a perfect 100/100 bike and transit score. Regular streetcar services run on Dundas Street, Gerrard Street and Queen Street, and there are a number of bus services in the area. Of course, those services also connect you to Toronto’s subway system, as well as GO and Via rail services at Union Station – putting many other destinations within easy reach. Alternatively, you can hop on a bike and use pedal power because the large number of bike lanes and easy terrain make this an ideal area for cyclists.